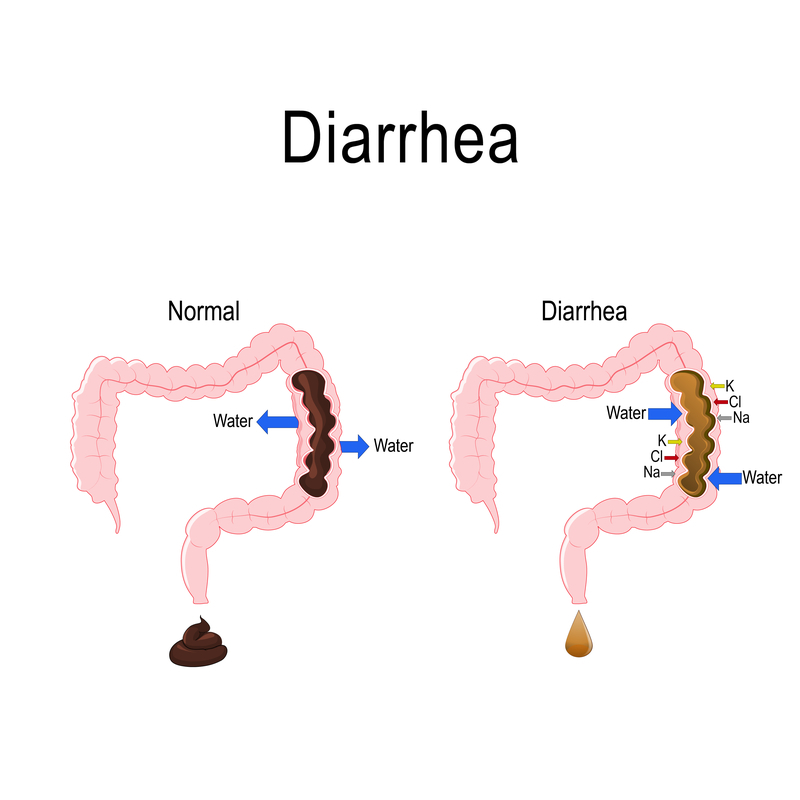 Diarrhea is more frequent and more liquid bowel movements than normal. There are many causes. Diarrhea often is caused by an infection with bacteria, viruses or a parasite. Bacteria cause diarrhea either by invading the intestine or by producing a toxin that makes the intestine secrete more water. When the diarrhea is caused by food contaminated with bacteria or parasites, people often refer to this as food poisoning. Inflammation of the lowest part of the intestine (ulcerative colitis or Crohn's disease).